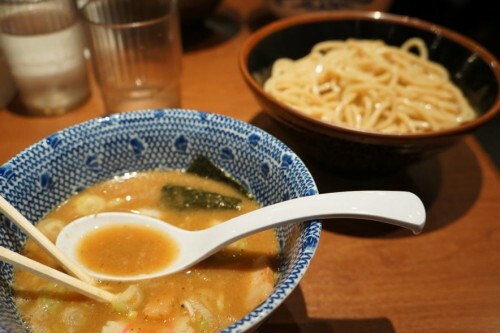 Our Tokyo ramen experience started with a bowl of ramen at the famous Rokurinsha, located underground in Tokyo station. 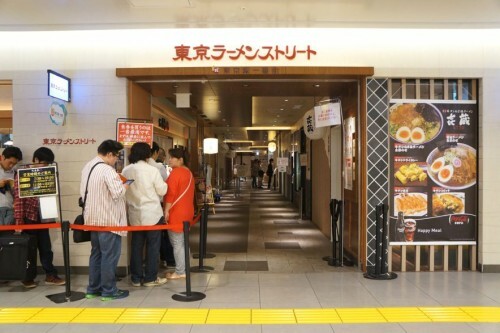 This ramen shop is one of the many ramen joints lined up along a corridor in the station which is named “Tokyo Ramen Street”. Tokyo station is enormous so we had some trouble navigating around. I recommend leaving some extra time in case you get lost like we did. But once you get to Ramen Street, you can’t miss Rokurinsha which is notorious for the longest queues. If there’s no line, chances are, you’re at the wrong place. There’s a second location in Tokyo Skytree but long waits are also expected there. To avoid a 2+ hour wait, we dropped by for their breakfast service which is served from 7:30am to 10am (last orders at 9:45). We arrived just before 9:45, completely out of breath from running over here after getting lost in the station. A few minutes after we got in line, a server from the restaurant came out and put out a sign behind us indicating that they were no longer taking any more customers for the breakfast service. Just in time! I highly recommend waking up early for their breakfast service – we waited less than 15 minutes. They open up again at 11am for lunch service and as we left, we noticed that a line had already started forming. Their ramen is really THAT good. At the entrance of the restaurant, you’ll find a vending machine where you’ll pay for your bowl of ramen. There’s a server there who can assist. Once you get your ticket, you pass it over to the server and they’ll bring your order to your seat. 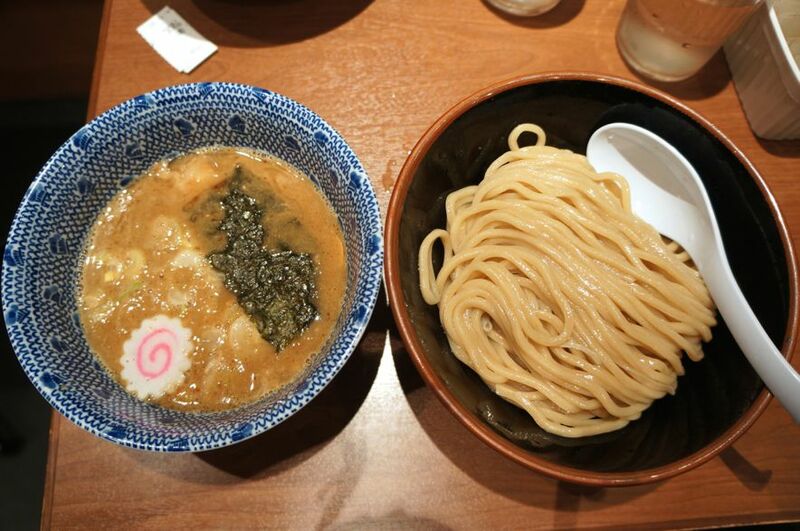 Rokurinsha is famous for its Tsukemen, the only ramen it serves. 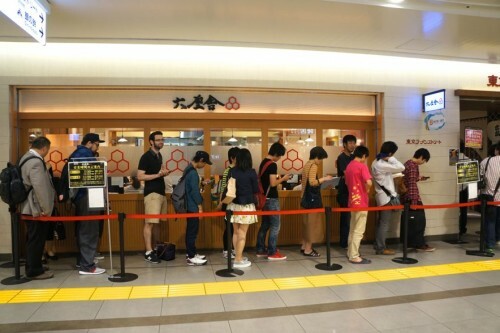 Most restaurants in Tokyo specialize in one thing, which makes it very easy to order! Typically with ramen, the noodles and broth are served in the same bowl. What makes tsukemen different is that the noodles and broth are served separately – you pick up a few noodles with your chopsticks, dip ‘em in the broth and slurp away. In Japan, the sound of slurping isn’t considered rude. 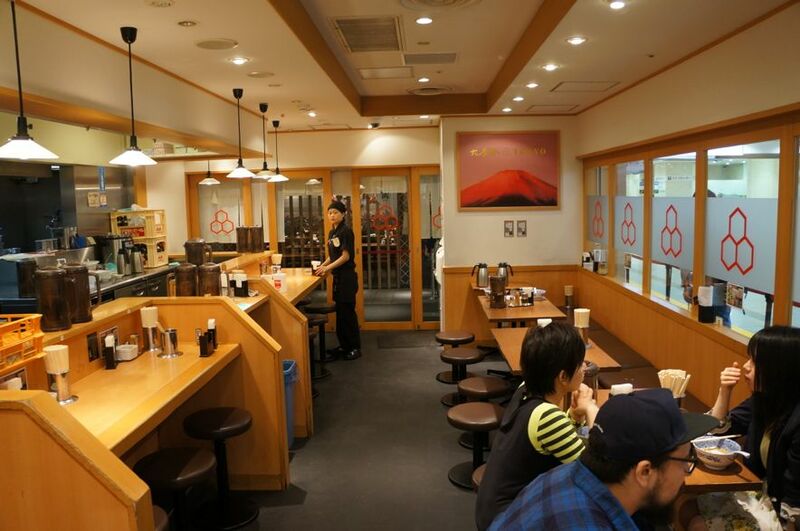 In fact, inside Rokurinsha, all you can hear is slurping – nobody talks while they eat. 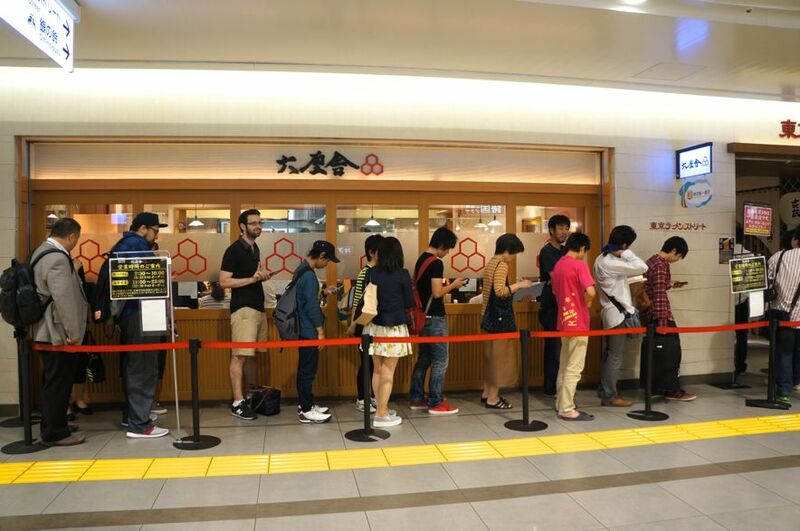 You get in, inhale your bowl of ramen and get out, making space for the next batch of people in line. Rokurinsha’s bowl of ramen was a definite game changer. Let’s start with their broth. While they server a slightly lighter version during their breakfast service, it was still the most incredible ramen broth I’ve had. Since it’s meant for dipping, the consistency is thicker and the flavours are much more concentrated. The broth is made with a tonkotsu pork bone base and has a distinctly fishy flavour from the dried mackerel they’ve incorporated into their broth. Each bowl of broth is accompanied by a generous bowl of perfect ramen noodles. They were of the thicker variety (very similar to udon) and had a wonderful chewiness to them. When dipping them into the broth, you’ll notice that the broth has a way of clinging onto these thick noodles. Absolute perfection! Needless to say, Rokurinsha’s bowl of ramen knocked it out of the park for me. 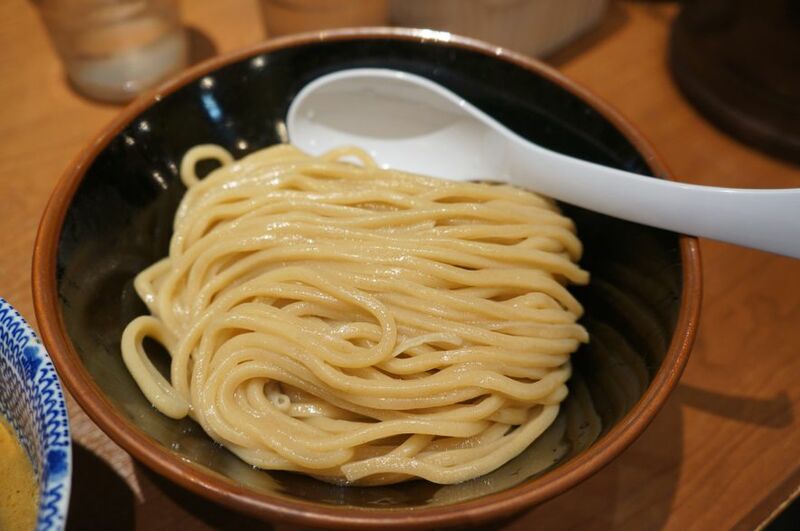 If you’re planning a trip to Tokyo, their tsukemen is not to be missed. I’m not a ramen expert but there’s a reason why people (locals included!) line up for 2+ hours.